Westside West Covina is the 8th most walkable neighborhood in West Covina with 1,232 residents. Westside West Covina does not have many bike lanes. Nearby neighborhoods: Sunset, Valinda, Freeway Corridor, Walnut Creek, Amar-Lark Ellen, Azusa-Cameron and BKK Sanitary Landfill. Most errands require a car in Westside West Covina West Covina. Westside West Covina is the 8th most walkable neighborhood in West Covina with a Walk Score of 41. Find apartments in West Covina's most walkable neighborhoods: Valinda, Freeway Corridor and Walnut Creek. 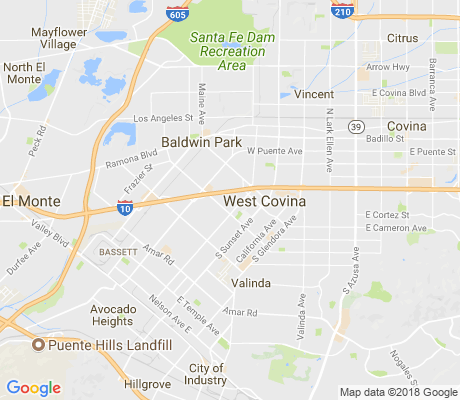 Compare Westside West Covina to other West Covina neighborhoods. There are about 12 restaurants, bars and coffee shops in Westside West Covina. People in Westside West Covina can walk to an average of 0.4 restaurants, bars and coffee shops in 5 minutes.